High levels of copper and other mineral imbalances can result in chronic headaches and debilitating migraines, especially in women. Elevated copper has been implicated in producing headaches, usually occurring in the frontal region. Copper water pipes may contribute to high tissue copper levels. The person’s water may be sent for analysis to determine if it is a source of copper contamination. In the US more than 37 million people suffer from migraines while an additional 2 to 3 million endure these types of symptoms chronically. Some studies estimate that 13% of the U.S population experience migraines. Migraines and headaches are a common and debilitating condition especially for women who suffer more often than men. Copper concentrates in the brain where high levels of copper alter neurotransmitter levels. One of the most commonly overlooked migraine triggers is a magnesium deficiency. Low levels of magnesium are correlated to an increase in migraines in studies. Minerals such as calcium, magnesium, and zinc are needed in greater amounts than dietary copper so that we can function and produce hormones and enzymes. Studies have shown that when the body is deficient in one mineral, it interrupts the normal elimination of other minerals in order to use them as a substitute for the minerals it needs. The body will then store the excess in the cells and tissues. The body experiences the toxic effects of this storage as the copper levels increase, and result in symptoms like such as headaches and migraines. There is a often strong correlation to those high in copper with other altered minerals and heavy metals relationships than can trigger symptoms of headaches or migraines. Doing a hair test will inform you of your exact mineral status and help you determine the actual level of unbound copper as well as other nutrient imbalances. 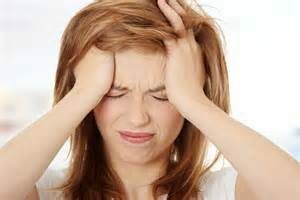 Once these imbalances are corrected with nutritional rebalancing, the symptoms of headaches or migraines can be reduced. Cadmium: An average of .36 ug/dl compared to an average of .09 ug/dl among the healthy controls. This is four times as much as is found in healthy controls. Iron: An average of .97 ug/dl in their bloodstream. This is twice as much as is found in healthy controls. Lead: An average of 1.48 ug/dl of this heavy metal. This is twice as much as is found in healthy controls. Manganese: An average of 2.30 ug/dl of manganese. This is four times as much as is found in healthy controls. Copper: Migraine sufferers had an average of 4.63 ug/dl of copper in their blood. Healthy controls had an average of 8.90 ug/dl of copper. Note: The copper levels in those with migraines will show up as “bio-unavailable” in hair tests. They will have too much in their tissues. Magnesium: Migraine sufferers had an average of 10.58 ug/dl of this important mineral in their bloodstream. The healthy controls had about 350% – or three and a half times – the levels of magnesium in their blood compared the migraine sufferers. Zinc: Migraine sufferers had an average of .24 ug/dl of this very essential mineral. The healthy group had an average of 5.77 ug/dl of zinc in their bloodstreams – over 24 times the levels of zinc in their blood compared to the migraine sufferers!